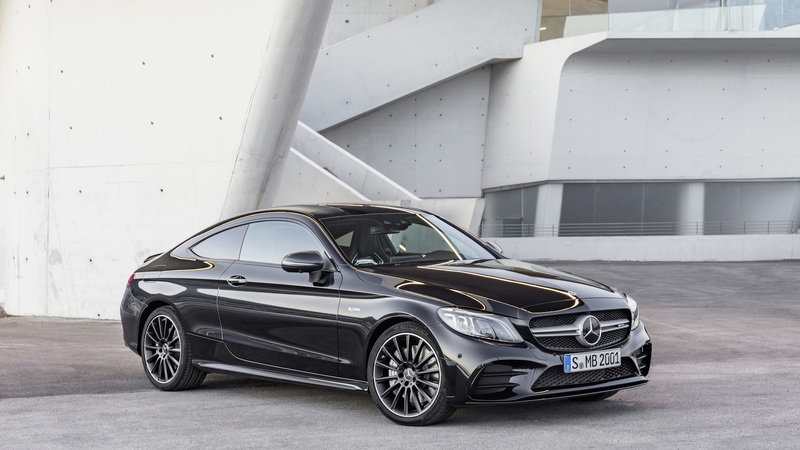 Following the refreshed 2019 Mercedes-Benz C-Class sedan's debut at the 2018 Geneva motor show, the luxury brand will bring the updated C-Class Coupe and Cabriolet to the 2018 New York auto show. Revealed on Tuesday, both body styles are in for additional standard equipment and more power. Like the C-Class sedan, the two-doors gain an updated 2.0-liter turbo-4 engine producing 255 horsepower, up 14 hp. The engine's torque figure goes unchanged at 273 pound-feet. Mercedes-Benz also promises greater efficiency, though EPA fuel economy estimates are not available yet. 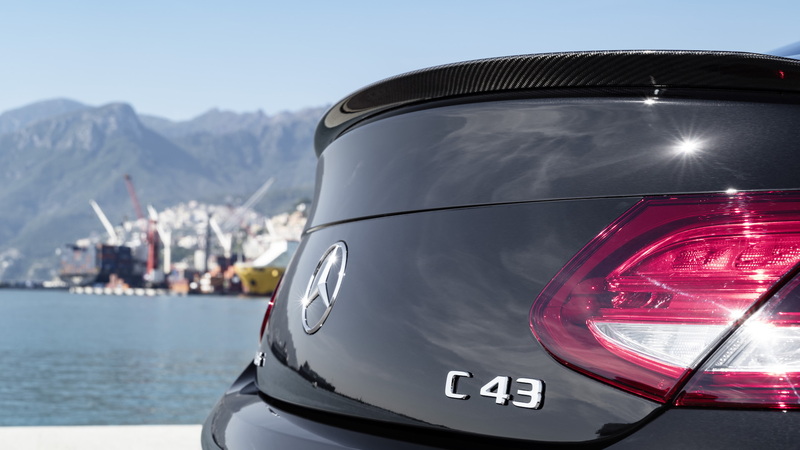 More power also comes to the C43 AMG models. The twin-turbocharged 3.0-liter V-6 engine now produces 385 hp, up from 362 hp previously, though torque holds steady at 384 lb-ft. 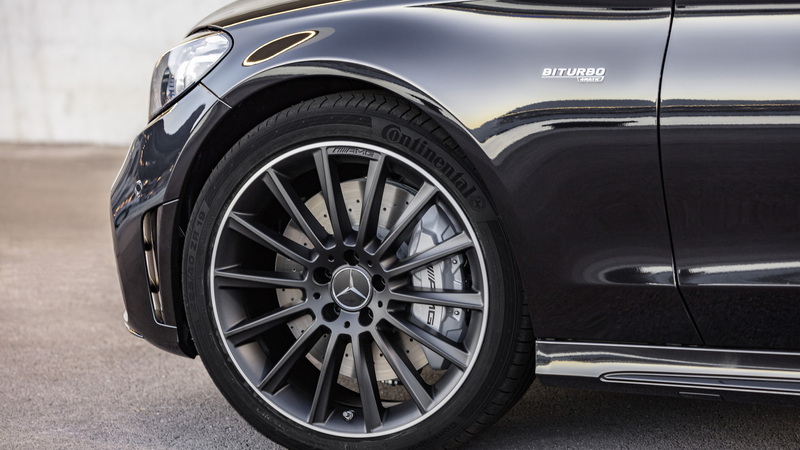 The brand's 4Matic all-wheel-drive system is optional for the C300, but it remains standard on the AMG C43 models. Mercedes quotes a 0-60 mph time of 4.5 seconds for the C43 Coupe, 4.6 seconds for the C43 Cabriolet, 5.9 seconds for the C300 Coupes (rear-drive or 4Matic), and 6.1 seconds for the C300 Cabriolets. 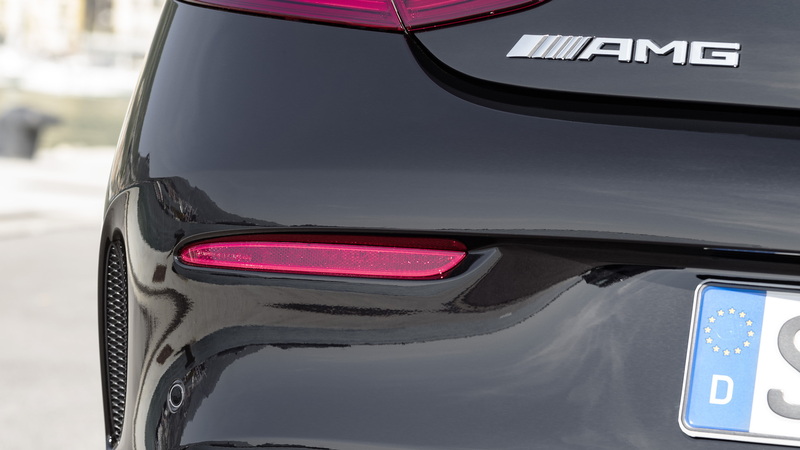 AMG-Line C-Classes also get chrome pins to compliment the diamond radiator grille and a specific AMG front bumper with more pronounced air intakes. 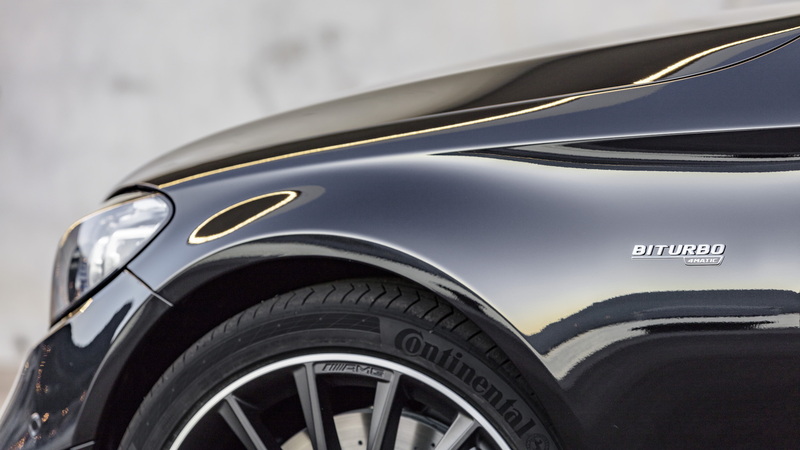 An optional "Night Package" will black out colored trim elements at the front and rear of the cars, should a buyer select the package. Inside the C-Class Coupe and Cabriolet, a 10.25-inch center display instead of the 7.0-inch unit in the sedan. Like the sedan, however, a fully digital instrument cluster is optional, and it offers three visual styles: "Classic," "Sport" and "Progressive." Touch-sensitive steering wheel controls mimic a smartphone and can control the entire gauge cluster and infotainment system in one place, but the touchpad and controller will handle it just as well, now with haptic feedback. Apple CarPlay, Android Auto, and Qi wireless charging are standard.